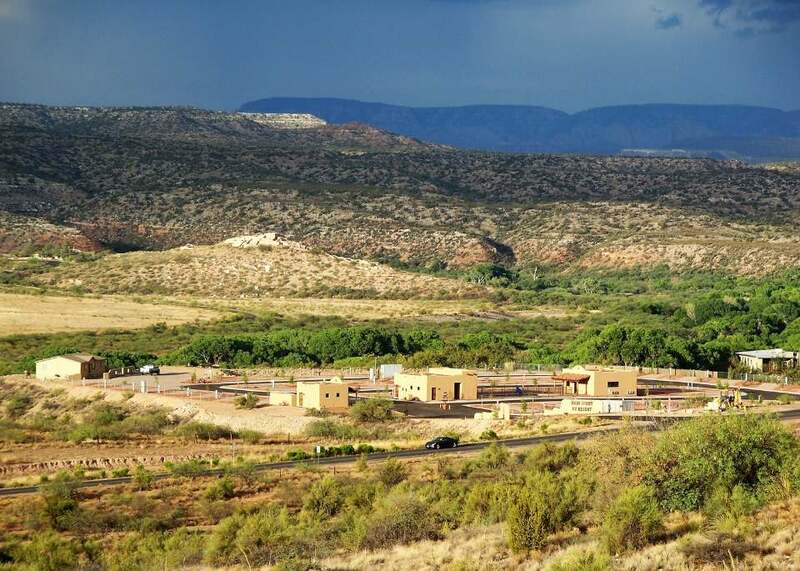 A new RV resort recently opened in the Verde Valley region of Central Arizona. Just south of Flagstaff and Sedona in small-town Clarkdale, Rain Spirit RV Resort has full hookup RV sites with panoramic views and some amazing places to visit nearby. The resort can accommodate RVs of all sizes with their wide paved roads and 63 large sites (both pull-thrus and back-ins). From your RV, you can get wide open views of the Tuzigoot Monument, Verde River, and Sycamore and Verde Canyons. They’re a quick drive to Tuzigoot National Monument, Red Rock State Park, and the Verde Canyon Railroad Train. 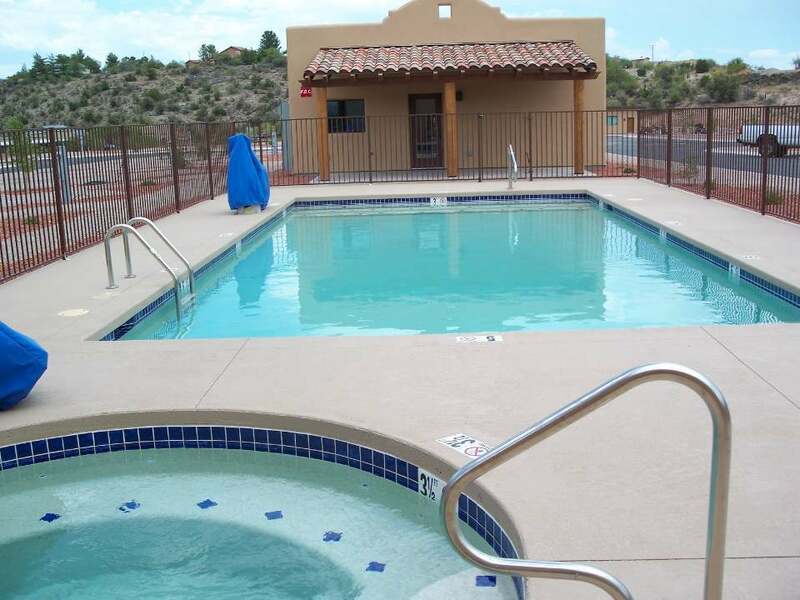 The resort’s also close to Old Town Cottonwood, Dead Horse State Park, and the Verde Valley Fairgrounds. When you’re not exploring the area, make full use of their brand new facilities. You can take a dip in their heated pool and Jacuzzi, or relax in the air-conditioned rec room with a pool table and a kitchen. They also offer a fitness room, dog run, laundry room, and WiFi throughout the park. Nearby there are enough attractions to keep you busy for weeks or even months. Take your time to explore Tuzigoot National Monument (about a mile from the resort) as it has Sinagua ruins dating back to 1100 AD. Grab one of their RV spaces 8-18 for the best views of this ancient Puebloan structure. Verde River Canyon should also be on your list of places to visit. 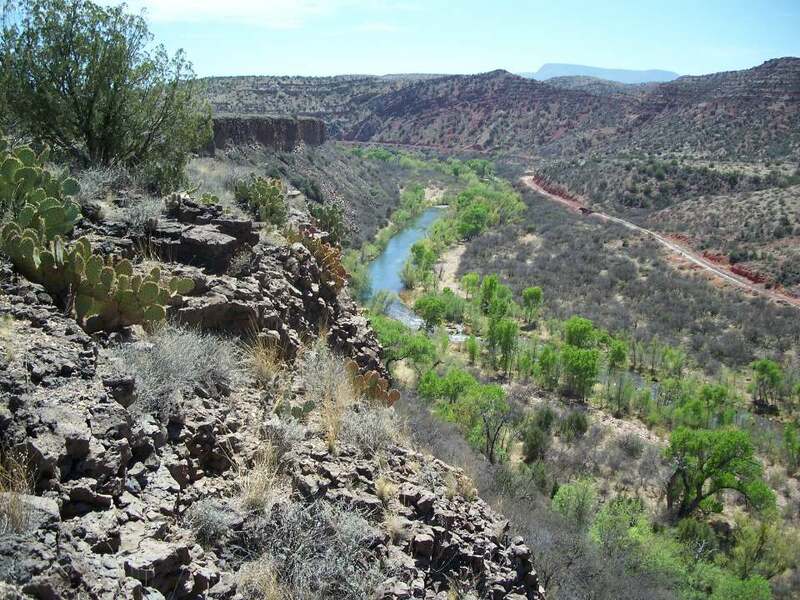 This vast area has ATV trails, kayaking, fishing, biking, bird watching, and the Verde Canyon Railroad tour train. Park your RV in one of their sites numbered 1-7 for a view of this massive colorful canyon. The hillside mining town of Jerome is also less than ten minutes from the resort. Explore their local museums, art shops, gift shops, and restaurants, or visit Jerome State Historic Park to see the old Douglas Mansion built in 1916. While you’re in town you’ll also want to visit the Gold King Mine Ghost Town. This abandoned town still preserves an old mine, dilapidated buildings, and various old cars and trucks. 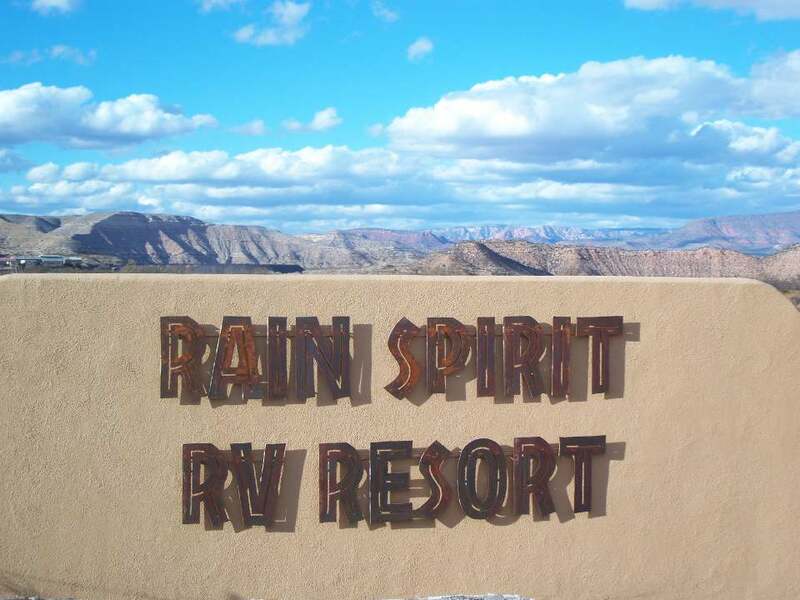 Have you visited Rain Spirit RV Resort yet? Let us know about your experience on Campground Reviews! This part of the state is transitional between the desert and the pine forest of the Colorado plateau. Far too hot here in the summer for grass to survive without a lot of very expensive irrigation. I have not stayed at this park, but live very close to it. The attractions mentioned, plus Sedona itself and numerous other National Monuments, make this a great place to live or visit. We love this part of the country! And so many other spectacular parts of it that are grass free. Glad you won’t be heading here! Maryann Behrens….I like the way you think. For the last couple years we have stayed at “Distant Drums” RV Resort in Camp Verde. I believe we might enjoy “Rain Spirit” RV Resort. We always visit Old Town Cottonwood, Jerome, Prescott, and other points of interest. I lived in Prescott in 1966, went to NAU in 65-66……on weekends I played guitar in Jerome in a cafe for drinks & tips (way before Jerome became a genuine tourist stop. I consider Northern Az….a HOME AWAY FROM HOME! Didn’t your mother teach you if you can’t say anything nice – don’t say anything at all? ITS Arizona, there is NO GRASS. Remember the commercials in the 60’s? “Bring your sinus’s to AZ. No grass and no hay fever”. As a 20 yr resident and several trips into and along Rt 89, I-17 over to the mogllion rim – it’s just beautiful even though hotter thans So cal. Palo Verde trees, prickly pear cactus, ocotillo cactus are Gorgeous in spring. No grass! This new RV resort looks very inviting., now in Oregon, too much grass and weeds – LOL. 31 yr resident – time to head back toward Valley of the sun. Thanks for posting. This little RV Resort is very nice. We live in Sedona, however we have had our 2018 Dutch Star there since mid December. There is a lot to do and see in the Verde Valley. No grass but lot’s of pine forests nearby. Jerome is a charming little town to shop and dine. It is only 6 miles away, located on 8’000 ft Mingus Mountain. I am sure there are other states with lots of grass and one star resorts. We plan to visit Arizona in May.Looks like a place we would enjoy!